Support our 1st ever crowdfunding effort on Indiegogo. Invisible Photographer Asia (IPA) was founded in 2010 as an advocate for Photography and Arts in Asia. 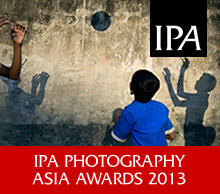 We have produced 2 annual editions of the highly regarded and successful IPA Street Photography Asia Contest. The Free-to-Enter contest was funded independently by us, with 2 prizes sponsored by friends. Last year, we received over 5,000 picture submissions. We have had 2 winners, from India in 2011, and Bangladesh in 2012. This year, we will expand our contest efforts to include 2 more categories, in what will become the inaugural IPA Photography Asia Awards. It is our goal to keep this photo awards contest accessible and free to enter for photographers from all parts of Asia. 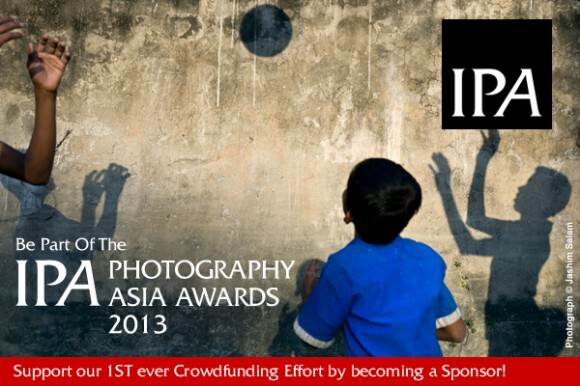 Help us achieve this goal by being part of the IPA Photography Asia Awards 2013 and support our first ever crowdfunding campaign! More details on the Official Page on Indiegogo.